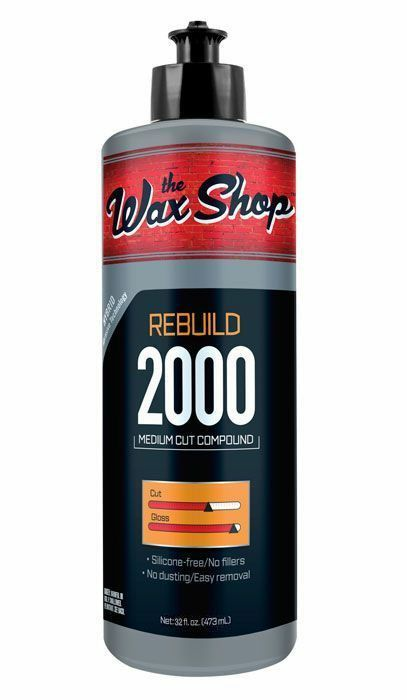 Home > The Wax Shop Car Care Products > Wax Shop Rebuild 2000 Medium Cut Compound > Wax Shop Rebuild 2000 Medium Cut Compound - 32 oz. 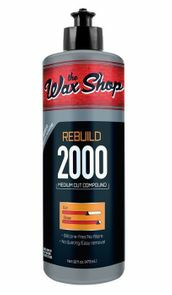 Wax Shop Rebuild 2000 Medium Cut Compound - 32 oz. REBUILD’s proprietary Hybrid Abrasive Technology removes up to 2000 grit paint imperfections with unmet ease, leaving a high gloss shine that is ready for wax or sealant. Follow with the Wax Shop’s DEEP REFLECTIONS or SHINE THAT BLINDS products for a show car finish.